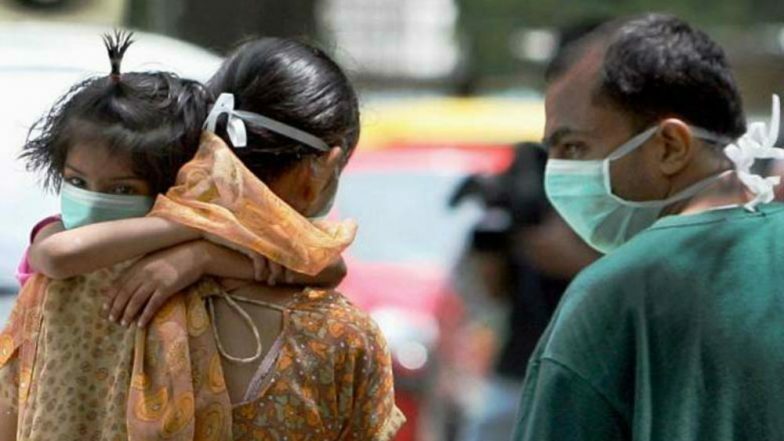 Jaipur, February 18: Swine flu scare continued to grip India as the H1N1 virus has claimed as many as 127 lives in Rajasthan alone in 2019. According to a tweet by ANI, while 127 died, nearly 3508 were tested positive for the virus in Rajasthan between January and February 2019. With the latest figure, the death toll across the country due to swine flu soared to 332 from 312 on February 11. According to data released by the Union Health Ministry earlier this week, over 9,000 persons have so far been affected by the H1N1 virus, with Rajasthan topping the list with the highest number of cases and deaths. Swine Flu Outbreak in Rajasthan. According to reports, amongst the fresh cases, Jaipur witnessed the highest number of 29 patients, followed by Udaipur where seven people were tested positive. Five cases each were reported from Tonk, Kota, and Alwar. Four positive cases were reported from Ganganagar. A report by ANI informs that three cases each were reported in Karauli, Jodhpur, and Barmer. Two cases each were reported from Ajmer and Churu and one case each was reported from Hanumangarh, Dausa, Jhunjhnu, Pali, Jalore and Chittorgarh. The symptoms of the H1N1 virus are the same as seasonal flu (viral fever). This includes a cough, sore throat, and body ache. Swine flu is an infection caused by one of the several swine influenza viruses (SIV), with the H1N1 strain being the most common across the country.